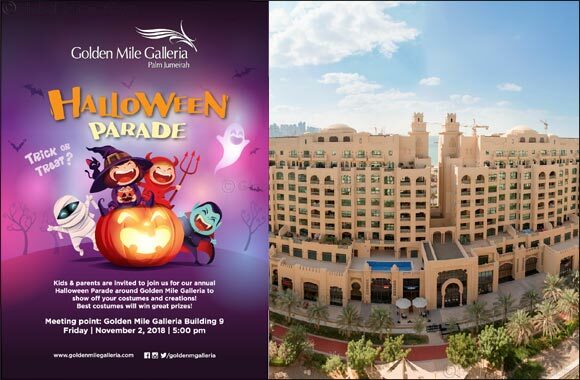 Dubai, 22 October 2018: Golden Mile Galleria is hosting a trick-or-treat themed Hallowe’en parade for kids on Friday, 2 November at 5pm. Children can dress-up in Hallowe’en-themed costumes, make-up and hairstyles to join the procession, and enjoy an exciting line-up of activities, games and treats. The parade starts at Golden Mile Galleria Building 9 (Organic Foods and Café) and ends at Building 3. Children must be accompanied by a parent.